Happy Friday! We have gone giant with today’s review so prepare yourself! Are you prepared? Good! 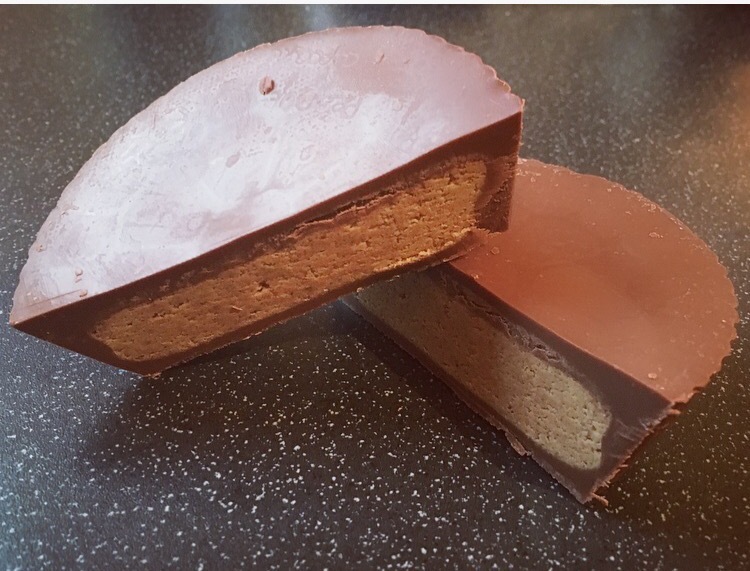 A while back the gem that is Miss Snack Warrior searched high and low to buy me one of the most amazing foodie presents a peanut butter lover could ever imagine… peanut butter cups. Not just any peanut butter cups, oh no, GIANT Reese’s Peanut Butter Cups! Reese’s have gone supersize and decided to whack a whole pound of peanut butter and chocolate across two giant-sized cups, and I for one am not complaining. 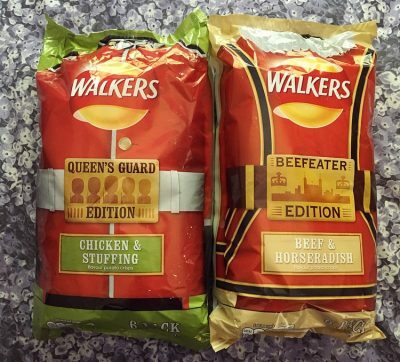 Just holding the packet was hefty enough, just look at these beauties. I wish I had a normal Reese’s Peanut Butter Cup for comparison because seriously these are ginormous. Each cup was in a plastic pot and was easy to remove. Slicing open I was pretty excited and boy I was not disappointed. The thick chocolate shell encased the even thicker hunk of peanut butter filling that screams eat me! The milk chocolate was incredibly sweet, far sweeter than the standard versions yet smooth and melted in the mouth. The peanut butter filling was smooth with it’s usual little grainy crunch, and had just the right amount of saltiness. The peanut butter was certainly the dominating taste which is fine by me. Although bringing the two together doesn’t completely eradicate the sweetness, it certainly helps balance it a little more. 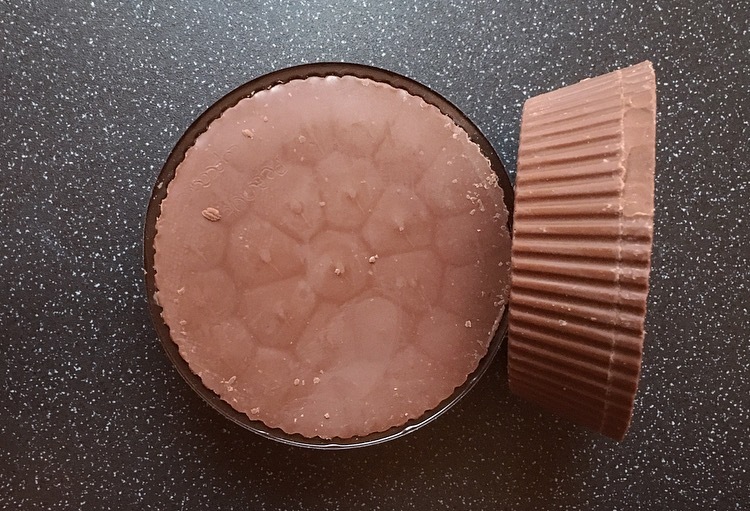 These Giant Reese’s Peanut Butter Cups are delightful, packing all that peanut butter filling in there is bang on the right move. Yes they are very sweet, sweeter than a standard Reese’s Peanut Butter Cup but the idea is to only have a little bit, apparently 1 giant one serves 12, yeah right!! 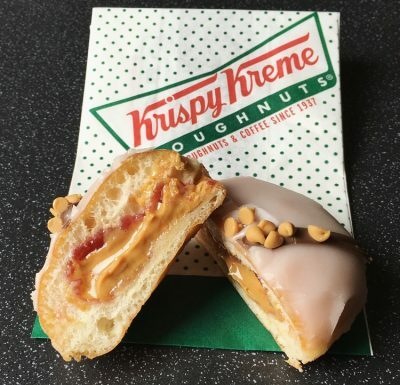 These really are a peanut butter addicts dream right there. I think that this would serve 2 at a big push!! This is by no means conducive on my WW diet, however treat night would be the perfect solution :0) Are you able to buy these in most shops? ?